The Sonoma County Vegetation Mapping and LiDAR Program, or “Sonoma Veg Map” for short, is a 5-year program to map Sonoma County’s topography, physical and biotic features, diverse plant communities and habitats, and agriculture. It is a joint program of the Sonoma County Agricultural Preservation and Open Space District and the Sonoma County Water Agency. Contributing partners include the California Department of Fish and Wildlife, the United States Geological Survey, the County of Sonoma Information Systems Department, the County of Sonoma Transportation and Public Works Department, NASA, and others. Now in its final year, the program has produced several ground-breaking environmental map products including countywide LiDAR data, 1-foot contours, orthophotography, stream centerlines, watershed boundaries, and vegetation and land cover maps. An 83-class fine-scale vegetation map was completed in May 2017 that includes high-level land cover detail for vegetation communities and agricultural land cover types, including forests, grasslands, riparian vegetation, wetlands, and croplands. 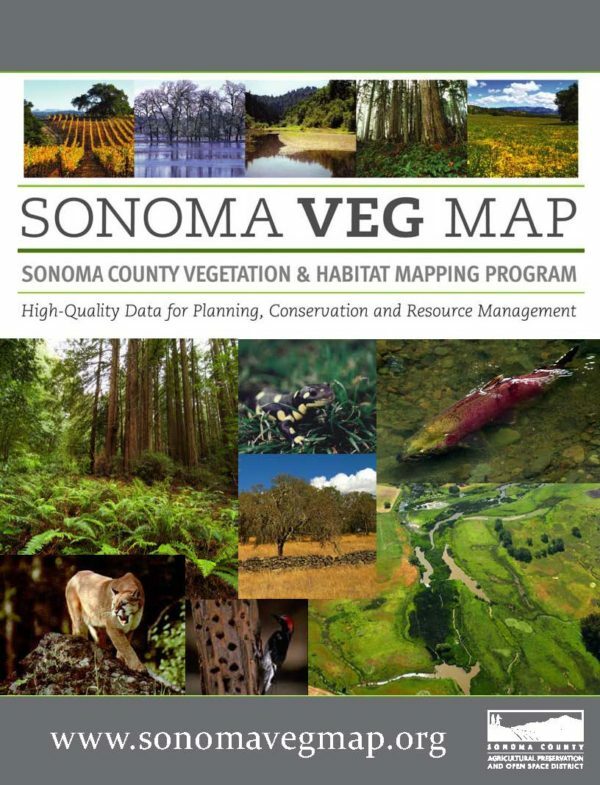 All data products are freely available on the Sonoma Veg Map website. The District is pleased to be partnering with the Sonoma County Water Agency and others on this dynamic, consortium-led program.